L'oreal Paris Style vs Style: Slicks & Streets hit the road! 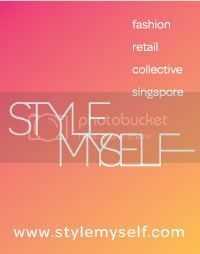 In an awareness raising event for the Style-vs-style dance off, both the Slicks & Streets took off to the hip areas of Singapore to spread the word. The slicks got to travel around in a really cool-looking Mini Cooper Cabriolet while the streets got all hip cruising around with their Vespas. Did any of you spotted them out there? They were in the vinictiy of Tampines, Bugis and Plaza Singapura; giving out button badges, discount coupons for Watsons!! Gosh, I wish I was there to witness this exciting sight! Anyway, to catch the talents in person, remember they will be in town TOMORROW along the whole stretch of Orchard Road. I'm guessing probably doing the same stuff. Arm yourself with a camera & remember to support your favorite group!